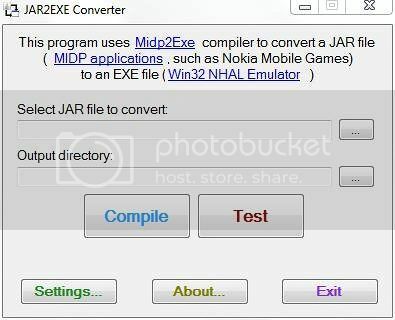 JAR 2 EXE converter is a freeware that helps you to easily convert any JAR file (MIDP application, such as Nokia Mobile Games) into an EXE file in Win32 NHAL Emulator which comes along with the software. You can run the midlets just like you would run exe files on a windows based computer. With The Win32 NHAL emulator any java file can be opened easily. You don’t need to go through command prompt and enter a command every time you need to launch a java file. To create an EXE file from a JAR file, select the JAR file, the output location, and click on compile.